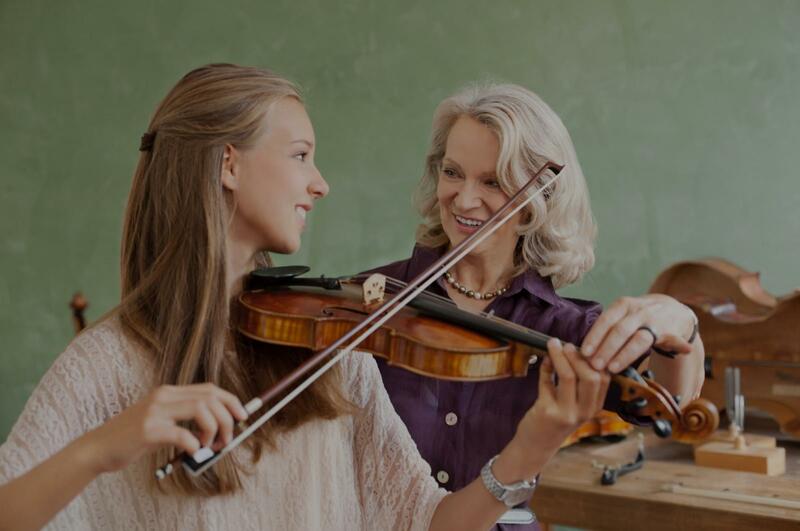 Los Gatos, CA Violin Lessons Near Me | Fun Classes. Top Tutors. An internationally touring artist as well as a teacher who has performed solo at the Kennedy Center in D.C. as well as the Royal Festival Hall London, I have extensive experience and training as both a classical musician, as well as a versatile improviser and performer of genres from folk to contemporary. I have been trained at some of the best conservatories in Europe (Vienna and London) and have been teaching privately for years. I tailor my approach uniquely to each student's needs and desires. I can offer both traditional and structured classical training, or improvisation and a more fluid approach. I speak fluent English, French, German, Lithuanian, and Russian. easy to understand so that he can love it....."
er playing is top-notch, from subtle intricacies through powerful passages. I would recommend Jessica for any student from beginner through professional level." "Helena is wonderful! She is so patient with both my 6 year old daughter and I. We are both new to the violin but loving it so far!" gh. She knows just when I need the encouragement we beginners need. Very happy to have found her." ng and performing experience as well as her extensive educational background.Â When you learn musical pieces with Helena she teaches proper technique with just the right amount of music theory to produce well-rounded musicians.Â Some of her best qualities are her great abundance of patience that she mixes with professionalism, kindness, a sense of humor, and a great deal of encouragement. Â Helena is certainly a violin teacher you will be glad you found. I feel privileged to be her student! Thank you Helena for continually inspiring me to learn and keeping me challenged as well!" the director of both music groups). Outside of the church, the two of us also comprise a duo, playing classical music and modern classics together. I can speak to Jessica's professionalism and virtuosity, and I can also speak to her interaction with children. Jessica is incredibly musical; she sight reads fluently, she has excellent intonation and a beautiful tone on her violin, her rhythm is flawless, and she has an instinctive and musical sense of dynamics, leading to beautiful interpretations and expression. She is a superb player in ensemble/chamber music. As a soloist, she commands the stage with a presence of beauty, technical expertise, and confidence. Jessica works wonderfully with children. She is a kind and loving influence, giving helpful suggestions to the children to help them develop better musicianship. She has vision as a musician, and she conveys her ideas clearly to both children and adults."